You are finally building the kitchen of your dreams. With your budget in place, you are ready to get started on the design. So what should you consider first? Cabinets! They set the form and function of your kitchen. Your existing cabinets are tired and worn out. New kitchen cabinets are the way to go, but how do you ensure you’re getting the best quality for your budget? Use this guide to help you navigate the kitchen cabinet buying process. The quality of a cabinet is based on the materials, construction process, finish and hardware used. 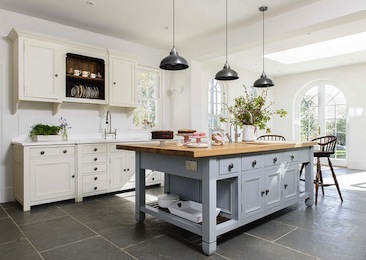 These aspects will also dictate the cost of cabinetry. 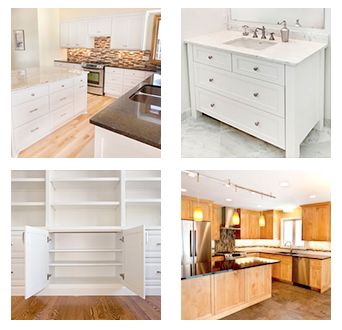 There is a wide range of cabinet qualities available to meet different homeowner styles, budgets and standards. 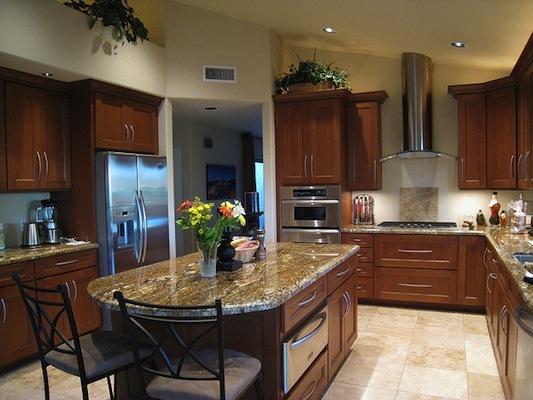 You’ll want to evaluate all of these aspects when selecting your new cabinets. The choice between stock and custom cabinets often comes down to cost and layout. Stock cabinets are premade and come in standard sizes that may limit how you can configure your kitchen. 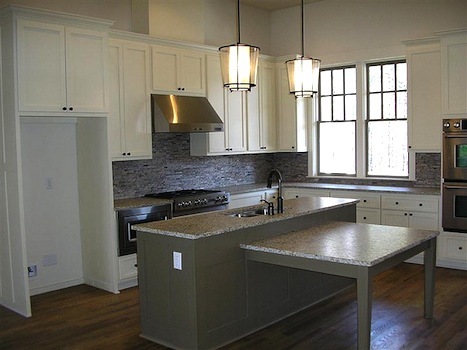 Custom cabinets are built to the exact size requirements and specifications of your kitchen layout. This option works well if you have an odd-sized kitchen or want a unique layout. Many shops now offer semi-custom options, which are pre-manufactured but offer more options and sizes than stock cabinets. How a cabinet is constructed directly impacts its quality. 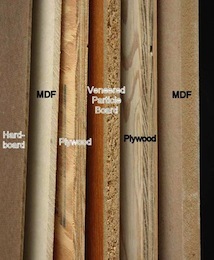 Less-expensive cabinet styles often use particleboard or thinner, medium-density fiberboard (MDF). Better quality cabinets use thicker MDF, plywood or other hardwoods. A general understanding of these wood types will help you better evaluate cabinets when making your selection. Hinges should be mounted securely and not crack or wobble. Look for shelves that have full depth and/or that roll out. Adjustable shelves should have solid clips, preferably metal. Check drawers for quality of materials and craftsmanship. Dovetailed or dowelled joints denote sturdier construction. Slides should support 75lbs or more and glide smoothly. Look at the base cabinets without a countertop installed to see how the box is reinforced. Test display cabinets. Are the hinges in good condition? Do the drawers stick? Does the finish show signs of wear? Ask about the finish. Quality finishes use a multi-step process and are baked on to bond them to the wood, which makes them more durable. Purchase cabinets that have a warranty that covers materials and workmanship. A five-year warranty or more is best; one-year is the minimum. Tell Us About Your Kitchen Cabinet Buying Process! We’d love to see and hear about your kitchen remodel. Leave a comment here, or share your pics with us on Facebook or Pinterest. Feel free to also send us an email or give us a call. You can reach us at 952-737-7088.